Igor and Arina have lots of family fun in this kids’ video. 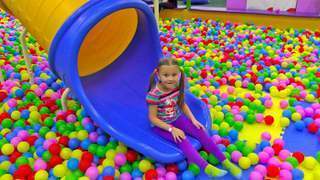 Watch them play together at the colorful indoor playground while you enjoy Itsy Bitsy Spider song. Arina also spends time in the toy kitchen, rides a slide and jumps on trampolines. Visit Kivitu.com to discover more cute videos for children with nursery rhymes.